The Countess of Rothford is forced into an unwanted marriage to rescue her from her family’s dwindling funds. Instead, after hearing a sales pitch for the Glittering Court, a finishing school for low-class ladies who get to play Bachelor in the New World, that sounds like the better option to her marriage. 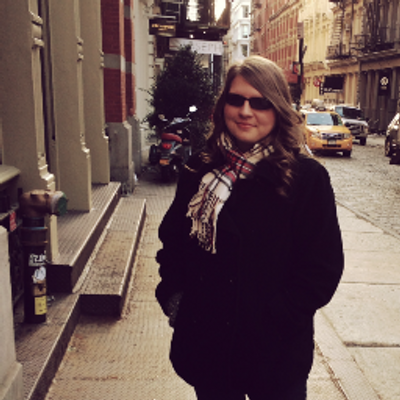 The New World is a fantastic idea to explore freedom and a life she has always dreamed of. I was surprised The Glittering Court didn’t go too much into her time at school. Essentially, I feel a bit deceived at what this book was about. The synopsis and title both emphasize the Glittering Court. Therefore, I was expecting the story to be about her time and only that time at the school, rather it goes far beyond that. 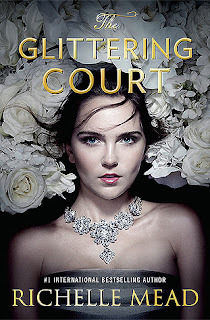 The Glittering Court by Richelle Mead is certainly glamorous more than anything else. All I could keep thinking about was how the Court seemed to be such a scam, and maybe not to the low-class ladies it was meant for but especially for Elizabeth, Countess of Rothford. She was getting the short end of the straw in this deal. She wanted freedom, an escape from an unwanted marriage to be thrown right back into another marriage that she may not want. She falls for a sales pitch and the freedom of the New World is what sold her. I understand it but her whole decision seemed too impulsive, considering if you think about it too long, you can come up with a list of things of how a countess journeying to the New World is dangerous. Her sheltered life did not prepare her for this and it makes her undeniably vulnerable. For the amount of times, Elizabeth comments on the New World being new, I would be as rich as a noble by now. The story was written magnificently well. Coming from Richelle Mead, this is no surprise. Her style is gorgeous. I was immediately swept into this historical realm. There was just not enough answers to all the questions. All of the friendships in The Glittering Court were based on “I’ll keep my secrets and you’ll keep yours” which doesn’t let us see the other characters in anything but a superficial light. I got to know the narrator quite well but I knew little about the people around Elizabeth who seemed to have so many secrets. When those secrets were finally revealed, there seemed to be no fanfare. I knew so little about the characters to begin with that these secrets didn’t hold much power in the end. This novel would be perfect for television. The book plays as if it was a whole season of the show. Mead just keeps going on and on, until The Glittering Court started feeling like a long filler episode, an episode that may highlight character development but does little to move the story along. It was difficult finding the whole point to the novel. It was all over the place with too many questions hanging unanswered and a plot that never seemed to end. It is difficult to explain what the book is about because so much happens that there is no one thing pointing as the main story. To be frank, The Glittering Court is just about: a broke countess escapes an unwanted marriage by journeying to the New World to play Bachelor only to fall in love with someone unexpected. So much is going on that there was never a dull moment. The Glittering Court was definitely entertaining, always bringing the unexpected. The narrative, especially that first sentence sucked me right into this historical society. The dialogue was also the perfect amounts of sass and humor. It did, however, lack a map. I would have loved to see a map in building Richelle Mead’s world in my mind. The map would have added to the beauty of the book. It does play like historical Europe meets the American Frontier, which is easy enough to understand without a map but it would have been nice to see. Isn’t it terrible that I didn’t know Elizabeth’s name until they mention it at the 75% point? I don’t recall them ever using her real name before that time. She uses her maid’s name, Ada, to fit in more easily and I just kept calling her Ada. The whole plan is super flawed which leads to the plot being a bit ridiculous. However, the idea of the story is fresh and unique. I liked the strength Elizabeth had. Despite her messy plan, I found her to be realistic, witty, and above all strong. I was waiting for her to lay the complaints on thick—of all the terrible things she must endure in the New World—and was surprised when she didn’t complain too much. Her character had developed so far from the impulsive countess we knew from page one. 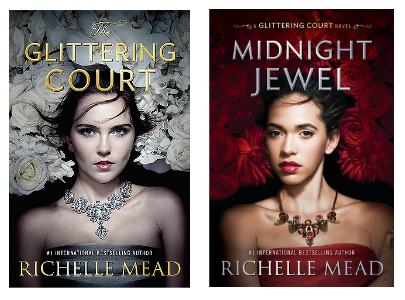 The Glittering Court by Richelle Mead is filled with too much, leaving the book with little point to even carry on in the series. Mead does bring her gorgeous writing which definitely makes this mess of a novel worth reading. I've heard a mix of opinions on this one. I still need to read it myself. I was fearful for a time because much of the opinion left it to be less than stellar, which was what I felt like Mead was known for. Glad to see you liked it for the most part though! Nice review!